Let’s face it. We love our kids. They are smart, funny, loving, beautiful, entertaining, and make life worth living. But, on the same token, it’s so nice to have some time alone — to ourselves — while they are at school. And the moment classes are dismissed and “school’s out for summer,” we quickly realize how life, suddenly, becomes just a little more chaotic now that they are at home 24/7. The best thing we’ve ever done is become sticklers on nap time and bed time for our kids. Incorporating and sticking to this can require some discipline on your part as the parent since it’s so hard to gauge a “schedule” when there is no “schedule” to abide by. Making sure the younger ones go into their rooms for nap time (even if they don’t sleep), and making sure all kids are in bed by a decent hour (no exceptions) can give you the sufficient alone time you need to wind down, relax, or get things done, just like you could when they were in school. Even though it’s not as much time as you had during the school year, it’s something, right? The coolest thing about summertime is there are tons of programs available for kids to participate in, since they aren’t spending 8 hours a day in a classroom. Contact your local chamber of commerce, and see if there are any sports camps, music camps, art camps, recreational activities for kids that you can send your child to. Many churches have Vacation Bible Schools during the summer, where you can drop off your kid for a couple hours. Or, research some fun overnight camps for them to attend, where your child can go on their own vacation “by themselves” with their friends. Lots of times, I find myself going a little cray cray when my kids are inside with me all day. They’re always asking for things, frequently crying, super loud when I’m trying to focus – you name it, I get it! So now that the weather has been nicer outside, I’ve encouraged them to play outside as much as possible. 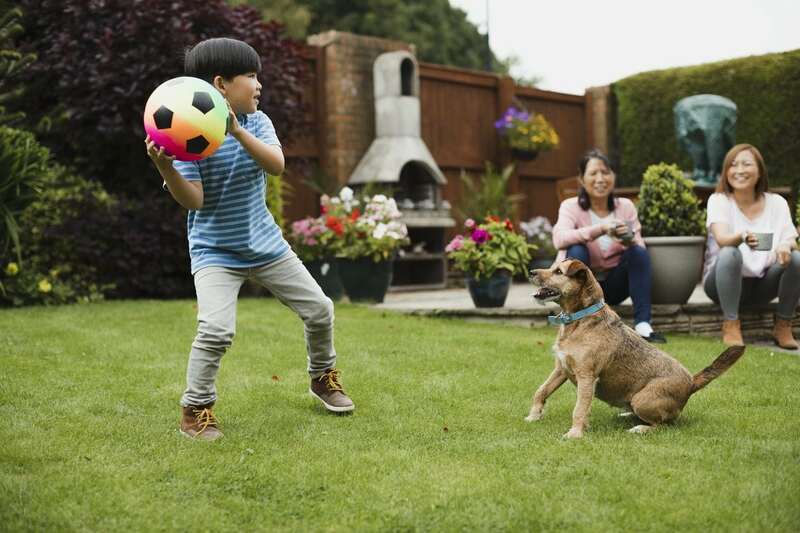 Let them explore the backyard, give them bikes to ride around the neighborhood, get a new basketball or soccer ball for them to play with, find other toys or outdoor activities that they can do to keep busy. Doing this will keep them entertained, you’ll know they’re safe and give you some quiet time inside to spend alone. And of course, occasionally checking on them to make sure they’re not hurting each other! Sometimes we’re hesitant to do this, because yes, it costs some money. But for the sake of your summertime sanity, moms, get a sitter for a day! Go get a pedicure, sit with your favorite book and read at the park, drive around your favorite historical neighborhoods, head to the gym with your favorite trainer, go have a cocktail with your girlfriends, go to that boutique and get that pair of shoes you’ve been wanting. Simply doing something for yourself that is out of the norm, out of your everyday routine, can be highly therapeutic. And, let’s face it, sometimes our husbands aren’t there to watch the kids while we have some “me-time.” So, moms, just do it. Get a sitter for a day. You won’t regret it. Believe it or not, while family vacations are normally viewed as a way to make the kids happy, it’s also such a great idea for us moms to have some fun, too. There are so many vacation ideas out there that have activities for the kids to do, as well as the parents, separately and together. One of our favorite vacations is to go on a cruise. We feel like it’s one of the most affordable things to do if you are looking to travel – because it’s all inclusive, has endless amounts of activities, and you get to see the world. Or, find an all-inclusive resort somewhere, where it has that same kind of concept, except you stay in one place. Family vacations are great because it breaks the monotony, and it’s extremely fun. The bond that is shared with everyone together is very special, and the memories that are created are priceless. While many moms joke about chugging wine or medicating themselves to stay sane during the summer, I’ve been using a more natural approach — with essential oils instead! Some of my favorite essential oils to use to keep me calm and grounded are Lavender, Frankincense, Stress Away, Peppermint, and Lemon. I’ll apply them on myself, diffuse them in my diffuser, add them into an Epsom salt bath, or inhale them directly from the bottle. The power of plants is highly underestimated – but they are very powerful in calming nerves, supporting emotions, boosting the immune system, and helping you zen out in every way. All of those oils and a diffuser come in a starter kit, which is what I got when I wanted to start using this stuff to naturally help me and my body. 7. When All Else Fails, Call Grandma! If your kids are lucky enough to have some awesome grandparents – UTILIZE THEM. Most grandmas find excuses to come visit to see the kids, or want the kids to come spend the night with them, or want to take the kids out for ice cream, or want to be the first to show them how to ride their bike. If that’s the case, and you’ve got parents or in-laws who would love some extra time with the kids, by all means, let them! And even if they don’t live local to you, schedule it out where the kids can go stay with them for a week or so. It’s a free babysitter, with someone you trust, so find excuses to take the opportunity with a grateful heart. Again – we love our kids. They’re awesome. Yet, moms, it’s important to love ourselves too. When we take time for us, and make efforts to fill our cups and get the rest and relaxation we deserve, it causes us to be the sunshiny moms we were born to be!